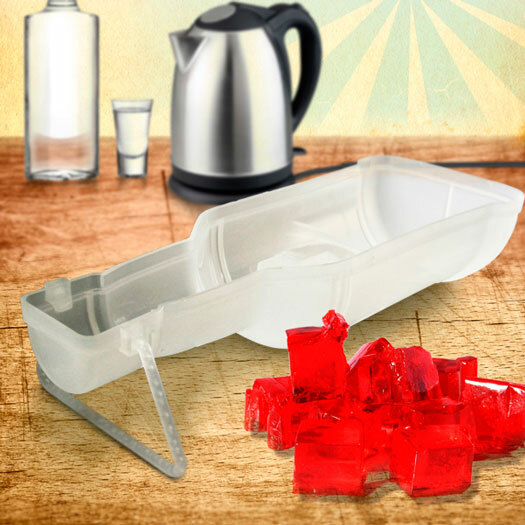 We are pleased to be introducing you to the Vodka Jelly Mould - one of the leaders in our party revolution range. Join your comrades in kicking back with a Vodka jelly (or maybe just normal jelly) and throwing a party never to be forgotten, or perhaps it will. 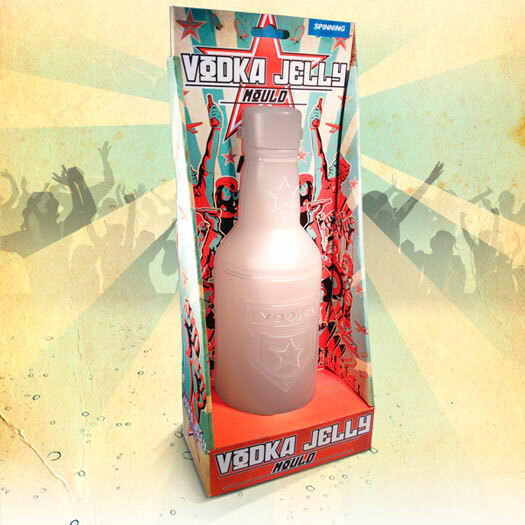 Every jelly you make from the moment you get your Vodka Jelly Mould will now be a perfectly formed Vodka bottle shaped creation of awesomeness. 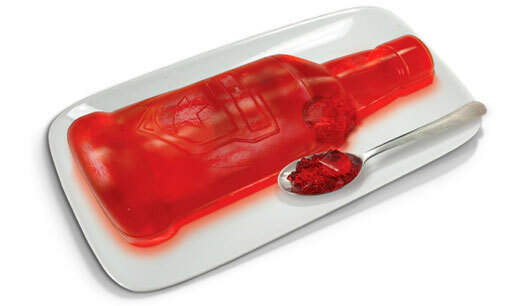 Flavour it how you wish, and of course Vodka is a welcome addition to any jelly, particularly so a revolutionary jelly! 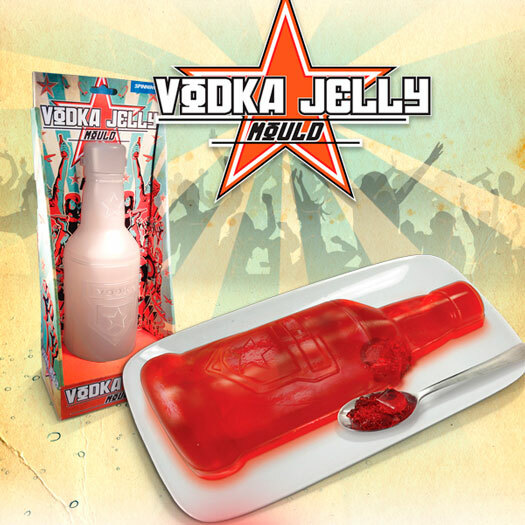 Accompany your Vodka Jelly Mould with the others from our party revolution range; serve up all drinks with an icy bottle of Vodka with the aid of the Vodka Bottle Ice Tray, or take in our Bottle Top Coasters for some novelty table top protection. 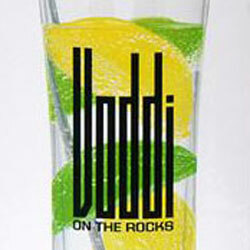 The Vodka Jelly Shots Moulds are little jelly moulds with a Jelly Shots Recipe Book!